From old comes new! - Take part in our sleeping bag initiative! We are gradually increasing the amount of recycled materials in our products. The current clothing collection already contains more than 25 percent of recycled materials. For example, our Sarner jackets, made entirely in Italy, are made from used wool jumpers, which an Italian company converts into yarn. This saves not just raw materials, but also waste. And still looks good. 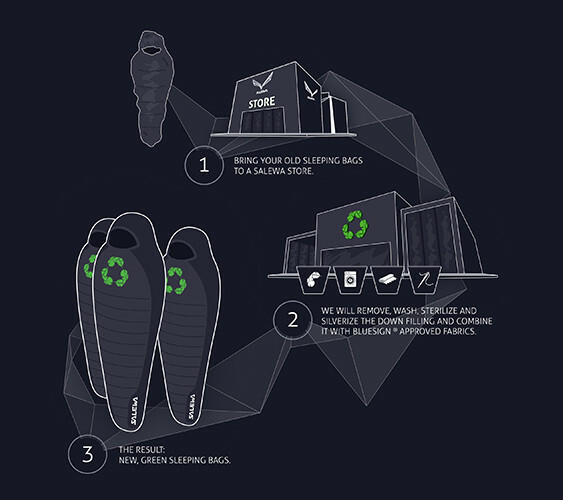 The SALEWA® Eco Down Sleeping Bag is made from recycled down. You can help too: Bring your old down sleeping bag or jacket to the store and we'll make something new out of it! We give many materials a second chance instead of just disposing of them. The bring-back initiative for our recycled down sleeping bags, local up-cycling associations for old store inventory and the reuse of cut-offs are just a few examples. With the help of our team of experts, we try to make the best possible use of materials when cutting and strive to produce the smallest possible amounts of waste. Nevertheless, some amounts of waste are inevitable. 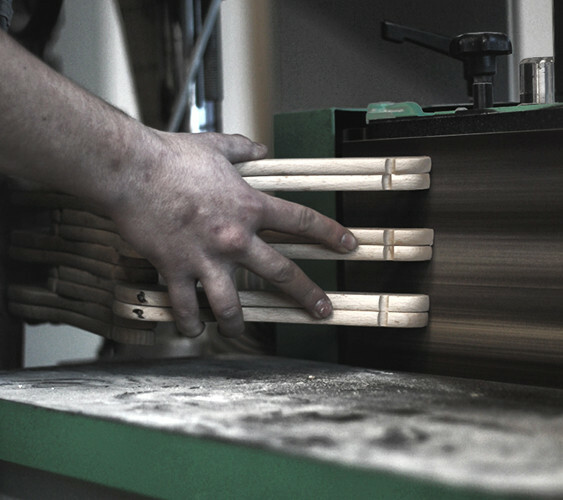 Our designers have found ways to use these little offcuts in the manufacture of smaller items. Our Sarner Wool Gloves for example, are made from the remains of the Sarner Wool Jackets. Together with our local upcycling partner AKRAT and the students of the design faculty at the University of Bolzano, we have started a project to produce new products from offcuts and shop materials. In doing this, we avoid waste, promote creativity and at the same time increase environmental awareness within society. In addition, we are constantly looking for ways to integrate biodegradable materials into our collections more effectively.